Buffett pressured Coke to change its exec pay. Coca-Cola is reducing the number of shares it hands out to its top officers as part of changes to its executive compensation plan. The move, announced Wednesday, comes four months after Warren Buffett called the company's pay practices "excessive." 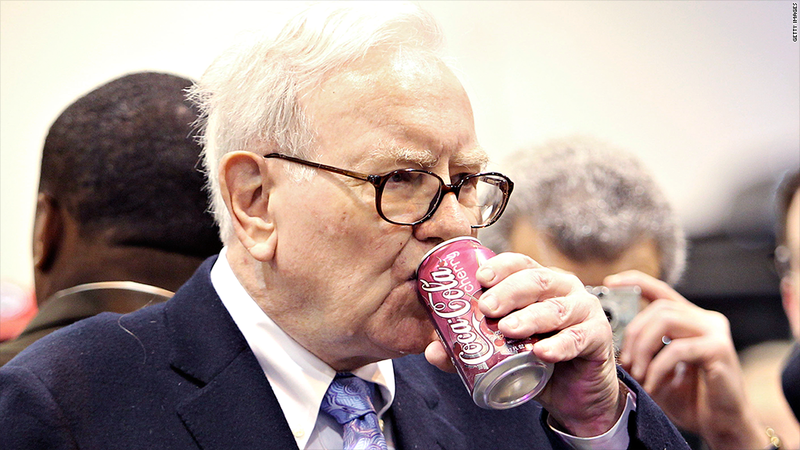 Buffett's Berkshire Hathaway (BRKA) is one of the largest owners of Coke (KO) stock. His son, Howard, is on the company's board of directors. Under its new guidelines, Coke said it will limit the number of shares awarded to executives for their performance in 2014 by about $75 million to $150 million. The beverage giant said it will change the mix of its compensation packages to include more "performance shares," which are closely tied to the achievement of specific goals, and fewer stock options. Coke also pledged to be more transparent and have an "open dialogue" with investors about the company's compensation policies, including seeking feedback on the "alignment of pay with performance." Shareholders seemed to like this. On one of the worst stock market days of 2014, Coke was the only stock in the Dow that ended the day higher. The company acknowledged that the changes were in response to shareholders' concerns. "Shareowner input on this important topic has directly led to the development of these new guidelines," said Maria Elena Lagomasino, chair of the company's compensation committee.